Had a good race. Won my division, but even happier that I was 10th overall in the men (out of about 100 men). It's always nice when you can place 'in the money' against much younger guys :-) I was 11th overall against 236 racers (one girl beat me ;-) - when you live in Colorado, you get used to that! The swim was pretty uneventful. It's my weakest sport - but that's this winter's goal; to get faster and stronger in the swim. I was happy with how it went - my goal was just to put in an even pace, which I did. The bike ride is SUPER hilly on this course. About 800ft of climbing over 10mi.I passed a ton of people on the bike. One climb in particular is about a 6% grade. There were a number of people walking up it, but I think part of that is there is a place where you've been climbing for a while, and then come around a corner to see the road just going up and up around another corner in the distance. It can be demoralizing if you don't know that it usually looks worse than it actually is. I tried to ride pretty strong, but on the last climb to the transition area I was just spinning down to loosen my legs up for the run. The run was equally (in fact I'd say more) brutal. It's about 320ft of climbing over 3mi - almost all on the first 1/2 the course. I've never road raced a tougher run course at that distance. It's mostly on dirt roads and the first 1.7mi is pretty much all uphill. That makes for a tough combination (I'm generally 5-7s / mile slower on dirt than pavement - and uphill seems to give you a little more slippage than that). When I started up the first hill, it was steep. I just felt like garbage. But it made me feel a little better that I was the only one running up it. I also knew that the legs would wake up from the bike in about 1/2 mile. At around the start of the second mile I had kind of settled in and the last mile of the course reclaims all that climbing - which was something to look forward to. A course marshall that wasn't paying attention cost me about 10s when I missed this one turn (the sign was in the weeds and hard to see) - but other than that, the run went great and I cruised in at what felt more like a tempo pace. My overall run split compared to the whole field was actually really strong - my overall run rank was 8th. While were on the subject of rankings - my overall bike rank was 5th. Swim? Uhhhmmm... 99th... Yep... that's the problem area for sure! It was pretty hot out (probably in the 80's), but I didn't notice the heat until the run - and even then, at least there was a lot of shade on the roads. So, even though it's a brutal course - I'd highly recommend the race. It was run REALLY well. 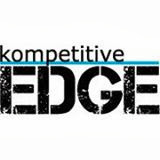 Great sponsors - especially Kompetitive Edge (mine and Paige's favorite store). But the best part was the post race breakfast prepared by Mt. Vernon Country Club. Bagels and cream cheese of course, but there was also a HUGE fruit bowl with REALLY fresh pineapple, strawberries, melon, etc.. scrambled eggs with cheese and salsa, hash browns, bacon, sausage and a really tasty pork green chile that I poured over everything. My plate was a mound of goodness! Next race is a 10K in a couple weeks on a course I've never run. Then the Georgetown 1/2 marathon in mid-August, Bear Creek Triathlon in early September (right after my little sis's wedding!!) and then the Chicago Marathon in early October!